Hardwood Floors is honored to recognize 40 industry professionals under the age of 40 who are helping to determine the future of the wood flooring industry. These individuals are today’s movers and shakers who are already setting the pace for tomorrow. before their 40th birthday. Read on to meet them. 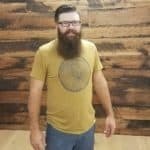 Geoff has spent 13+ years working full time at John Griffiths Hardwood Flooring in Charleston, South Carolina, which specializes in reactive stains and applications unique to their market. Geoff enjoys repurposing wood to build chairs, tables, cutting boards, and headboards. From renovating a 6′ x 22′ Airstream travel trailer to installing wood flooring in the home of singer-songwriter Darius Rucker of Hootie & the Blowfish fame, no job is too big or too small. The Airstream project, which included installing flooring and building a kitchen, sleeping area, and dining area, was featured in the 2018 February/March issue of Hardwood Floors. When he’s not getting paid to work, Geoff is still working to help others, whether it be fixing a senior citizen’s fence, helping a neighbor move furniture, teaching others about woodworking, or just picking up trash. Osiel is an NWFA Certified Installer who started his career in 2001 as an apprentice. 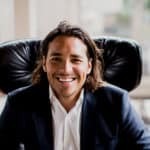 He owns All Flooring Install LLC of Dallas, Texas, and co-founded Insight Flooring Technologies LLC (IFT), a technology company dedicated to the flooring industry. IFT created the QuoteHero app, which enables users to measure the square footage of rooms, estimate jobs, and close sales on the spot. 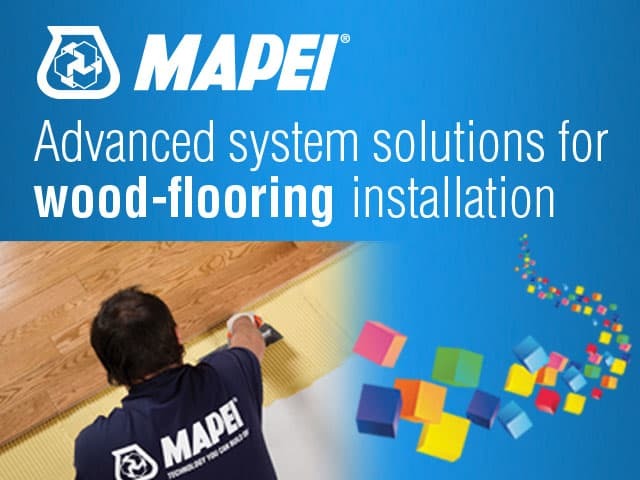 The app supports Osiel’s goal of empowering the wood flooring industry through technology and promoting digital transformation. Osiel won NWFA’s 2018 Plank Tank contest in which members submitted industry-related business ideas. Three finalists pitched their ideas during the Wood Flooring Expo in Tampa, Florida, on April 11, 2018. Attendees voted through the Expo Mobile App, and the winner was announced at the end of the show on April 13. Osiel and IFT received a $15,000 package of NWFA marketing and education products and services. 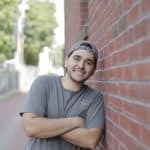 Osiel recently joined NWFA’s Emerging Leaders Network and also is collaborating with the NWFA and Cue Careers to help attract new talent to the industry. 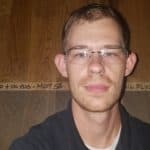 Curtis learned at a young age how to carry big machine cords, sharpen hook scrapers, and run an edger for his father’s company, All Wood Floors Custom Installation and Refinishing of Quitman, Arkansas. 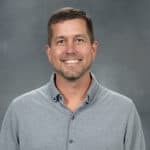 After graduating from high school, he worked full-time running crews, installing custom borders and inlays, sanding, and refinishing wood floors for the company, which specializes in custom hardwood flooring installation, repairs, and refinishing, while keeping current with flooring trends. 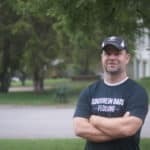 In 2016, Curtis and his brother took over the family business, and he became one of the first NWFA Certified Professionals in the state of Arkansas. Since 2016, All Wood Floors has doubled its number of employees and plans to continue growing by developing young, skilled tradespeople. To that end, Curtis and the company are laying the groundwork for a program that encourages recent college graduates to consider careers in a skilled trade like wood flooring. With more than 15 years’ experience and a high-end client list that includes Baltimore Oriole Adam Jones and former Baltimore Raven Ray Lewis, Jason Brown is known for his work with high-end builders in a five-county area surrounding Baltimore, Maryland. His passion for wood, quality workmanship, and exceptional customer service has been recognized by readers of Baltimore Magazine, garnering Jason Brown Wood Floors four “Best of Baltimore” Awards in 2010, 2013, 2015, and 2017. Jason started Jason Brown Wood Floors with just himself and a helper. Today, his team of nine craftsmen, supported by an administrative assistant, perform refinishing, waxing, and repairs, as well as creating and installing intricate borders and inlays with a wide range of hardwoods and softwoods, as well as exotic woods. The company has a showroom and is pursuing a distributorship to serve the Greater Baltimore area and Harford County. Jason supports his community by donating services to silent auctions and local charities. 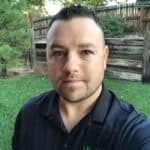 Damian began working for his father’s business, Select Floors Inc. of Albuquerque, New Mexico, 16 years ago after graduating from high school. He started out installing, sanding, and refinishing floors. Today, he and his brother Devin run the company. Damian serves as a Project Manager and Superintendent. He has networked extensively with fellow contractors to advance new ideas and techniques. Damian was the first Bona Certified Craftsman in New Mexico, as one of seven charter members instrumental in helping to develop the Bona Certified Craftsman program. He has worked closely with Bona on new product and machine development and testing. He has also been involved with NWFA training since 2002 and is a part of the Emerging Leaders Network. Damian enjoys educating clients on hardwood flooring choices and materials that are sustainably sourced and finished with durable, environmentally friendly products, leaving them with a long-term, value-added flooring choice. His commitment to quality above all else has provided opportunities for him to complete projects in six different states, including for local and national celebrity figures and historical sites. Damian’s nominator called him a “super hardworking family man and a great craftsman” who is involved in his church and giving back to the community. Zack started in the warehouse at Bona US, and advanced through the company, spending several years as a member of the technology and training team. He was a Lead Trainer for the Bona Four-Day School and subsequently a Lead Trainer for the Bona Certified Craftsman Program. 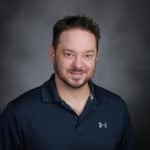 After several years in the training department, Zack transitioned to product management as a Field Applications Specialist, where he was integral in the testing and development of Bona’s professional product line. Currently, he serves as a Strategic Product Manager for the entire Bona professional line. Zack is a great support to the NWFA training community. Outside of the industry, he has actively supported St. Jude’s Children’s Hospital and The Special Olympics. 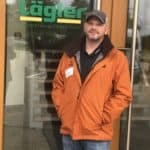 RJ Cunningham is an NWFA Certified Installer and Sand & Finish Professional, and certified in Premium Sanding Technology (PST) by Lägler North America. Additionally, he has attended training classes at Loba-Wakol, Rubio Monocoat, and Bona. His flooring industry experience began in 2001 while he was working for a hardwood flooring contractor. Starting as an installer of factory-finished wood flooring, he eventually learned the refinishing side. After working with other companies and gaining some experience, RJ started his own contracting business in 2014, and he’s been installing, sanding, refinishing, coating, and repairing for customers in the Detroit metropolitan area ever since. 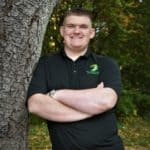 Grayson started working in hardwood flooring as a teenager, learning from his father and continuing the tradition with his own company, which he founded in late 2015. Through a partnership with Trees for the Future and several other organizations, Arbor Zen plants 25 trees for every floor they install. In just more than three years in business, they have planted more than 12,000 trees – from the mountains of western North Carolina to the rainforests of Central America, and even the sub-Saharan flatlands of South Africa. In his spare time, Grayson plays with his bluegrass band, the Big Deal Band. Derr Flooring Co. opened its doors in 1912 as the Derr Lumber Co. under the ownership of John Hartenstine Derr. Andrew began working in Derr Flooring Co.’s warehouse during his summer breaks in high school and college – unloading supplier trucks, loading delivery vehicles, and helping customers arriving to pick up goods. After college, he worked full time in customer service and counter sales. When a sales territory became available, he lobbied to be the new representative. He worked very hard in this new position and exceeded expectations by growing the territory more than 25 percent in less than a year. An active member of NWFA’s Emerging Leaders Network, Andrew has attended NWFA regional schools to further his knowledge of the industry. He is also very involved in his community by participating in the Autism Speaks Walk; Landmark Preservation in West Chester, Pennsylvania; and the rebuilding of community baseball fields in Upper Dublin Township. Jared started installing floors as a part-time job during college. After graduating with degrees in history and Spanish, he quickly realized he enjoyed his part-time job more than being in an office or classroom. Now he’s working toward his NWFA Craftsman Certification. Since joining NWFA in 2013, he has already earned his Installation Certification and Sand and Finish Certification. Jared has also assisted with the NWFA hands-on training classes. He particularly enjoys custom parquet work, and one of his designs was nominated for a 2018 Wood Floor of the Year award. Jared’s work has appeared in Southern Living Magazine, in Rubio Monocoat’s inspiration book, and on HGTV’s Property Brothers, as well as publications in the Nashville area. In 2017, Jared initiated a partnership with Cane Ridge High School to develop an internship program that introduces high school juniors and seniors to the craft of hardwood flooring. He’s active in his church as well, teaching youth and participating in scouting activities. At age 20, Daniel was a part-time driver for a hardwood flooring distributor in Raleigh, North Carolina. He quickly rose to full-time Operations Manager until the company was dissolved. American Products Inc. hired him as a full-time driver for the Raleigh/Triangle branch. Drawing on his natural mechanical aptitude, Daniel developed and managed an on-site equipment repair shop and workshop while still driving and delivering as needed. 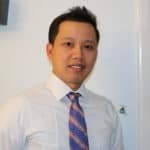 His management skills coupled with his work ethic and commitment to his fellow employees led to a position as Operations Manager, then Branch Manager. That commitment extends to his community. Despite being recently married and caring for a newborn daughter, remodeling a home, and working long days, Daniel volunteers each week with local organizations that support the homeless and addicted. Jonathan started working with wood floors at age 19. He founded GQ Hardwood Floors Inc. in 2014 with partner Henry Lopez after 19 years’ experience. 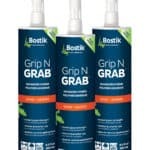 He has taken several NWFA hands-on training classes and NWFA University online courses including the three-day Basic Installation class and three-day Basic Sand & Finish class. Jonathan and the GQ Hardwood Floors team worked on two projects for the PBS network’s This Old House program. One was a Craftsman-style cottage “idea house” in Narragansett, Rhode Island, in which they installed a quartersawn white oak entrance in a herringbone design. 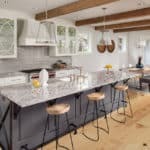 The other was a new wood flooring installation in a South Kingstown beach house, which was featured in the 2017-2018 Season of This Old House and in This Old House Magazine. Jonathan supports many causes including St. Jude’s Children’s Research Hospital; Progreso Latino, a non-profit organization supporting Rhode Island’s Latino and immigrant communities; and Guatemalan relief efforts following the volcanic eruption in June 2018. Established in 2000, Hatton’s Hardwood Floors has won the “Best of HomeStars” designation for four years in a row and maintains a 98 percent Star Score. Cal started the business as a new resident of Calgary. During the past 18 years, Cal has grown the business to serve high-profile commercial clients including LuLu Lemon, The Gap, and Banana Republic stores in Calgary and Edmonton. Cal and Hatton’s Hardwood Floors will also be featured on an upcoming episode of HGTV’s Property Brothers. Cal is an NWFA Certified Sand & Finisher Professional and also possesses NWFAU online skill badges for sanding process, recoating a previously finished floor, finishing process and colorants. Hatton’s Hardwood supports The Calgary Humane Society and other animal charities as well as several children’s charities. Meyer Skidmore & Company was founded in 1984 by Chris Meyer and Steve Skidmore as a small, craft-oriented hardwood-flooring firm. Christopher and his wife bought the company four years ago and have increased sales every year with the support of their employees. Serving Boulder, Longmont, and the surrounding areas, Meyer Skidmore & Company focuses on building and remodeling custom homes working with individual homeowners or general contractors. He enjoys the daily challenges presented by installing hardwood floors and works tirelessly to overcome any obstacle. Meyer Skidmore & Company supports its local high school football and basketball teams, as well as the aviation and military communities in Colorado. Raised in Peru, Luxia spent a lot of time in forests, sawmills, and flooring plants. She understands the entire supply chain from the forest to the floor. Throughout her 10 years in the industry, she’s held various positions from logistics to operations, which prepared her for her role as Managing Director where she has grown revenue by 57 percent in less than a year. The mother of two girls, Luxia advocates for sustainable forestry management, so all children will have clean air for centuries to come. Amaz Floors supports the Madre de Dios Amazon REDD Project, which seeks to dramatically reduce deforestation in 100,000 hectares of rainforest in the Peruvian Amazon, only 400 km from Machu Picchu. This project will also protect the habitat of endangered species and the livelihood of indigenous communities that rely on the forest for survival. Luxia volunteers at local public schools and helps Andean communities such as the Belgica Native Community in Peru, which trains indigenous people to create handcrafts to improve their quality of life. After just five years in the industry, Tony became Co-Owner of Creative Hardwood Floors in 2005. Tony wears many hats in the business, from writing estimates to closing sales to installing flooring. 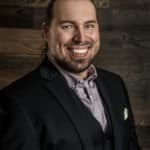 Tony has developed and maintained strong personal relationships with contractors, distributors, and other industry professionals, which he credits for his personal and business growth, and his knowledge of the industry. He has also grown the company’s media presence by posting on Instagram and Facebook. Tony was selected to participate in the Lägler Fly & Sand trip in September 2018. Creative Hardwood Floors is a member of the Rochester Area Builders, Rochester Chamber of Commerce, and Rochester Remodelers Council. They also sponsor local youth baseball and football teams. The only thing Stephen is more passionate about than wood flooring is sharing that passion with others. That’s why he and Jorge Borer started a weekly forum called “Floor Talk” on Instagram in 2017. Today, Stephen has 19.4 thousand followers on Instagram where he hosts positive, educational discussions every week on Floor Talk with questions and input from other flooring professionals about equipment selection, customer education, floor maintenance, staffing, and management. 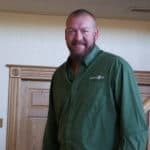 King, who has been doing floors for 13 years, has spoken at two NWFA Wood Flooring Expos about leveraging the potential of social media to develop an online presence and grow your business. He also promotes the industry among young people, shedding a positive light on the trade and encouraging young people to consider wood flooring as a career. He has spoken at high schools about opportunities in the flooring industry and visited trade schools to demonstrate installation, sanding, and finishing techniques. 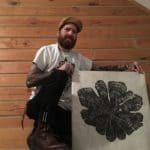 Active in his community, Stephen has made cutting boards from salvaged hardwood floors for local fundraisers and custom tree prints for raffles. A third-generation flooring professional, Jim is certified by Bona, Lägler, Basic Coatings, and NWFA. He has been in the hardwood floor trade since he was a teenager working with his dad. Nineteen of his 24 years of flooring experience are as an Owner/Operator of his own company. 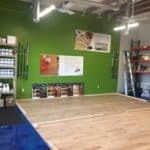 Since starting as a one-man shop in 1999, Delaware Valley Hardwoods has grown to become one of the most reputable hardwood flooring companies in the area. Jim writes for several trade magazines and forums, offering advice and technical training for other flooring professionals. 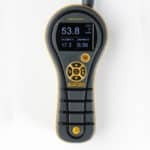 He also field tests new products for several manufacturers who trust him to provide informed, candid feedback and demonstrate both old and new techniques. Jim coaches Amateur Athletic Union (AAU) basketball, and sponsors a youth BMX team and a youth Quarter Midget Race (car) team. He also helps train young men and women in the flooring trade at local technical high schools and skill centers. Nick got his start in 2005 at age 25, working for a domestic hardwood manufacturer in Wisconsin. 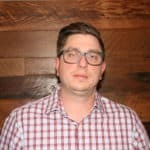 Although he came from a completely different industry, as a Regional Sales Manager, Nick quickly learned the business and used his background in sales to grow his territory in a declining market. He continued to grow his territory through successes, and by 2011 he would oversee all of the United States and Canada. Having the opportunity to develop relationships with manufacturer/distribution personnel and craftsmen around North America is what he considers to be the most rewarding of his experiences. In 2013, Nick joined Bona as a Territory Manager for Wisconsin, Illinois, and Minnesota. Nick continues to gain knowledge on the sand and finish side of the business, and in 2016 he became a Senior Territory Manager for Bona. Nick is active in raising money for multiple sclerosis research and has completed three local fundraising walks. He also makes annual contributions to St. Jude Children’s Research Hospital. 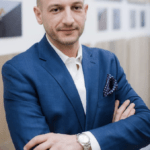 Working with many of the country’s largest builders, world-renowned architects and designers, celebrities, and high-end clientele in both the U.S. and Europe, Dmitry is considered a leading specialist in every aspect of flooring from design to installation. He maintains all NWFA certifications and he is also a highly regarded Bona Certified Craftsman. Dmitry is a believer in education being the most powerful weapon that you can use to change the world. In 2013, Dmitry received an NWFA Wood Floor of the Year award, working side by side with Czar Floors, for a 100-square-foot, Karelian birch and maple medallion installed on a 187-foot super yacht named Lady Linda while she floated in the dock. The floor had to be precisely cut to an oddly shaped room with built-in furniture, and finished to supersede all expectations. Dmitry also gets involved within his community and has partnered with the local charity-driven community centers RJLC of Staten Island, and Chabad Neshama of Brooklyn N.Y. to provide support, leadership, contributions, and services to local youth programs, community events, and people who are less fortunate. He also partakes in political events and fundraisers, and supports the men and women of the armed forces and Blue Lives Matter events to support the NYPD as well as all other first responders. At age 23, Rick founded Mouery’s Flooring in a tiny building behind a car wash at the start of the recession. 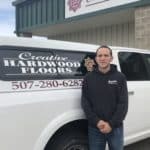 After a lot of trial and error, self-education, late nights, and weekends, he now runs one of the largest independently owned flooring stores in the Springfield, Missouri, area. Rick was named a “40 Under 40” by the Springfield Business Journal in 2018, and the store was named the “Face of Hardwood” by Springfield’s 417 Magazine in 2016, 2017, and 2018. In December 2017, the Greater Springfield Homebuilders Association named Mouery’s Flooring Associate Member of the Year. Rick is also a member of the National Homebuilders Association. In 2018 alone, Rick has donated flooring to: The Victim Center, Keller Williams Red Day, I Pour Life, James River Project Partnership, and countless classrooms. Rick has supported Toys for Tots, helped pay for an orphanage’s van, and donated entire houses of flooring to families in need. 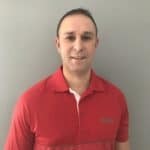 After graduating college with both a math and physics degree, Jonathan entered the industry as a part-time, temporary employee in the pro shop for Installers Warehouse in Rochester, New York. He quickly rose through the ranks to become Operations Manager and met John Dupra who would become his partner in Revel Woods. 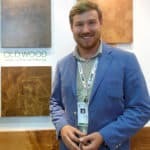 Revel Woods is a unique e-commerce platform for wood flooring that takes into consideration a homeowner’s lifestyle, climate, and architecture by asking a series of questions to make sure they get the right product. Jonathan was instrumental in conceptualizing and developing this proprietary selection process and is involved with its day-to-day operation. Revel Woods’ goal is to elevate and evolve the way hardwood flooring is sold for the next generation. 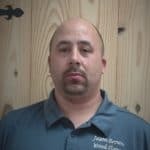 Jonathan oversees employees and operations at Installers Warehouse while handling both companies’ IT infrastructure. He completely reworked all software from order entry to inventory. With all that, he’s still quick to volunteer his skills and services to anyone who needs help at charitable events, especially at the Rochester Brooks Gun Club where he is a member. Dan’s Custom Hardwood Flooring, which Jimmy co-owns with his partner Kenneth Nguyen, celebrated its 25th anniversary in 2017 with the opening of its first-ever showroom in Hingham, Massachusetts. Jimmy had always felt that a showroom would legitimatize the company’s presence, its knowledge, and its craft. It was a dream of his that he feels was largely due to the relationships and knowledge he and his company gained through membership in NWFA. The company was founded in 1989, and after some name changes, was incorporated as Dan’s Custom Hardwood Flooring in 2006. Kenneth and Jimmy Nguyen handle daily operations, supported by a staff of 12 full-time and two part-time employees. Jimmy is a Bona Certified Craftsman who spends a lot of time training at NWFA, immersing himself in training to perfect his craft, and helping instructors when needed. He’s always happy to help fellow professionals and has donated equipment and advice to help his fellow floor contractors around the country. Shiloh started working in the wood flooring industry at age 15. 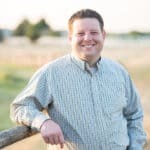 After high school, he studied international business and foreign languages in China and Japan before earning an international business degree from Texas Tech. By 22, he was managing Old Wood LLC, a family-owned business, and in 2014, he was promoted to Vice President. 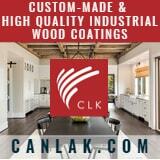 Under his leadership, the company developed its first pre-finished flooring and end grain wood flooring production lines, and implemented strategies to export high-end flooring to commercial clients in more than 12 countries, including the sale and production of a 160,000-square-foot mesquite end grain floor to Kuwait. He was also featured on CNBC’s hit television show Blue Collar Millionaires. Shiloh served as a member (6 years) and chair (3 years) of the USDA’s Collaborative Forest Restoration Program Technical Advisory Panel from 2012-2018. He trains teams across New Mexico on Six Sigma lean manufacturing principles. He also collaborates with community organizations throughout the Southwest on the utilization and production of wood products from pre-fire and post-fire thinning and reclamation efforts. After attending the Air Force Academy in Colorado Springs and serving on active duty, Bryan began installing wood floors in 2005. Based on the core values of integrity, duty, and leadership that were strengthened in the military, Bryan formed Footprints Floors in 2008. The company grew rapidly and is now one of Colorado’s largest residential flooring companies with more than 40 employees, 120 subcontractors, and more than $8 million in annual revenue. 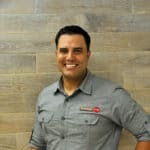 In 2011, Bryan began franchising Footprints Floors, giving others the opportunity to become successful entrepreneurs by providing ethical and caring flooring services. Footprints Flooring now has 21 franchises. Bryan gives back to his professional community by serving on NWFA’s Contractor Steering Committee, and to his local community by donating to programs for disabled veterans, offering free or discounted materials and services when needed, and building sets for the local children’s theatre production company. Miguel started his career as an installer in 2004 after moving to Florida from the Dominican Republic where he worked as a Sales Manager. Unable to speak the language, he was hired as a carpet installer and later learned hardwood flooring installation. 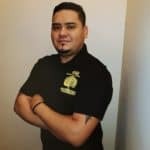 He also learned English in one year, and using his background in sales, founded The Hardwood Stop, providing installation services to customer, vendors, contractors and retailers, including Lumber Liquidators and Floor & Decor. 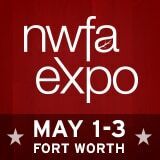 Miguel is an NWFA Certified Wood Flooring Professional with an A+ Better Business Bureau rating. The Hardwood Stop was recognized by The Hispanic Initiative Fund (DBA Prospera), the leading Hispanic nonprofit economic development organization in Florida, specializing in providing bilingual assistance to Hispanic entrepreneurs who wish to establish or expand a business. Miguel contributes to his community by mentoring other businesspeople in his local church as well contributing to an organization that trains local church pastors in leadership skills. Having grown up in the business, wood flooring is all Erick knows. At 23, he is very passionate about learning and improving his skill set through training from NWFA, NWFA University, his peers, and hands-on experience. He is an NWFA Certified Sander & Finisher, is Bona and Loba-Wakol trained, and has attended DuraSeal training. Erick’s commitment to his craft and to the industry extends beyond his own company, Excellent Floors & Services. A team player, Erick often shares his knowledge and expertise with local flooring professionals to help them succeed in their projects and businesses. Excellent Floors & Services supports the veteran community by offering military discount to customers throughout the Washington, D.C. metro area. In addition, Erick has also donated complete flooring projects to local churches and low-income families. 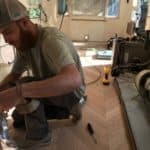 Dominic started working as a sander/finisher/installer at Tualatin-based Treadline Hardwood when he was just 10 years old. At 15, Dominic took over all responsibilities for BC Northwest Distribution, a hardwood flooring supply distributor. 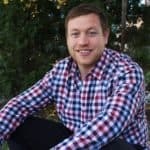 He grew the company from a small space in the Treadline offices to an independent warehouse, which he financed, built, and grew exponentially since its founding in 2011 – all while attending high school and graduating with a 4.02 GPA. Throughout high school, Dominic was a member of the National Honor Society, participating in numerous community service projects. He served as editor of the broadcast team, donating countless hours broadcasting high school sports programs to families who were unable to attend games. Dominic has attended two NWFA Wood Flooring Expos and visited the Loba-Wakol and Lägler facilities in Germany in September 2018. Currently he is working his way through college while he continues to run BC Northwest Distribution. 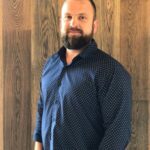 Lured away from a pro hockey career by Wickham Hardwood President JP Nittolo, Derick joined Wickham Hardwood Flooring in February 2017 as a North American Sales Representative. 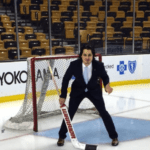 Derick earned a bachelor’s degree in business administration from Northeastern University in Boston, Massachusetts, with an emphasis on international marketing and finance; he also played for the Northeastern Huskies men’s ice hockey team. 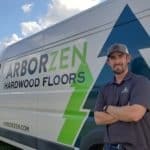 His education and ability to speak five languages, including French and English, allows him to seamlessly transition between his French Canadian employer and U.S. customers with his fresh, honest approach to selling hardwood flooring. Derick also speaks German, Italian, and Spanish. Derick regularly volunteers to coach youth hockey in his native Quebec and also is actively involved in mentoring teens, encouraging them to pursue their hockey careers while getting a college education, rather than the normal path taken by talented Quebecers, who typically forgo higher education and go straight to the youth hockey leagues. Kim came back to Champion Floor Company in 2011 as an account manager and estimator. Her father, Ralph, owns the business, so she grew up working and learning there. On her return, Kim realized that her dad wore many hats. She also noticed how busy he was, so she stepped up to help revamp the bidding process and better organize the company. For example, Kim introduced technology to transform Champion from a “paper everything” to a digital office. Kim took several more leaps, transforming the showroom into a showpiece. She also built a network of vendors, designers, and contractors that allowed Champion Floor Company to grow in ways that were previously not possible. She continues to expand her product and technical knowledge, and share that with the company’s contractors, homeowners, and designers. Kim is an active member of the St. Louis Police Wives group. She and her husband, a police detective, donate their time and resources to help police officers and their families. Vera has been a part of the construction industry since age 11, working summers at the front desk of her family’s flooring business, cold calling leads, and visiting construction sites. She officially joined RQ Floors in 2013, taking the lead on new product initiatives and client development. As Vera’s footprint continued to grow, so did RQ Floors. In 2018, Vera spearheaded the launch of RQ’s first-ever prefinished collection, which quickly grew into four new collections for the company. Vera most enjoys learning directly from her father, Leon Shekhets, who founded the company in 2010. As his right-hand person, Vera is able to draw on his wisdom and experience, uniquely positioning her to lead RQ Floors into the future. 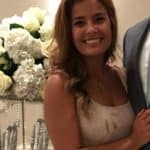 Vera is passionate about supporting the Dana-Farber Cancer Institute, National MS Society, City Harvest, New York Cares, and the Irina Shekhets Memorial Scholarship Fund. In addition, Vera takes advantage of any opportunity to share her knowledge of the construction industry, especially anything related to wood flooring. 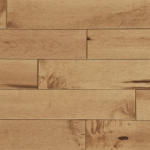 As a teenager, Zac started working in the family business, a producer of red oak and white oak strip flooring, well known for its premium heritage grade. After earning a B.S. in Wood Science and Product Manufacturing from Pittsburgh State University in 2006, he returned to the company. In 2010, the business fell on hard times and filed for bankruptcy, eventually closing its doors. But Zac was committed to reclaiming his family’s six-generation legacy. At age 31, Zac started rebuilding Heritage Oak with himself and two employees. Today, the company employs 115 people, making it the largest employer in Sarcoxie. In three years, Heritage Oak has grown into a nearly $20 million business. Although Zac is president, you’ll rarely find him behind a desk. He still enjoys working on machinery, driving a forklift, or unloading a truck. A valuable member of the community, Heritage Oak replaced the local elementary school’s gymnasium floor when it was damaged by flooding. Zac regularly contributes to youth sports programs and coaches several youth sports teams. 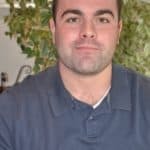 Ben started working in the flooring business in 2002 after graduating from Christendom College (Virginia) with a degree in Philosophy. For several years, he worked as a subcontract laborer and floor contractor, learning the construction industry and gaining a basic knowledge of customer service and the wood industry. In 2005, he started his own business. Realizing a need to continue learning and growing in his craft, he joined NWFA in 2009 and attended the Intermediate Sand & Finish school. Then he really kicked his training into high gear. The year 2016 was an especially busy year for Ben as he became a Bona Certified Craftsman, an NWFA Certified Installer, and an NWFA Certified Sand & Finisher. 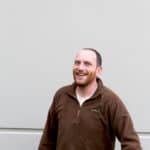 Ben attended the Advanced School in 2018 and also helped teach a new Basic Installation class in 2018 at NWFA. Ben is a volunteer seventh-grade teacher at his church’s Sunday school and is currently helping organize an enrichment group called Marriage on Tap. Renee began her career at The Home Depot where she worked for five years while pursuing a B.S. in Interior Design and Construction Management at East Tennessee State University. In 2007, she was hired as a Technical Services/Claims Manager for Harris Tarkett (later QEP). Over the next 11 years, she reinstated a technical service department and revamped the company’s approach to design and trend research. 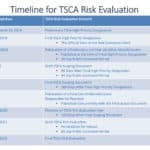 By implementing industry guidelines and working with manufacturers to address customer concerns, she decreased claims by 4 percent. 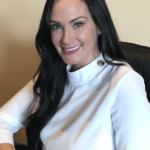 In 2013, she completed her MBA and is now Senior Product and Marketing Manager of QEP’s Flooring Division, leading a team that develops new products and marketing strategies. Renee is very active in her community. 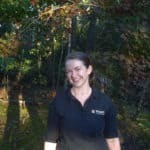 She advocates for the Hardwood Forest Foundation Truth About Trees Program, presenting programs to youth that emphasize responsible forestry practices. She is PTA President and volunteers at her daughters’ schools and Girl Scout Troops. She is a strong supporter of Niswonger Children’s Hospital, has served on the East Tennessee State University Interior Design Advisory Board, and helps raise funds for local charities. Craig started his refinishing career working summers in high school. Four years ago, he co-founded Hazelwood Floors, which has grown from two employees to a team of nine. Now, with 15 years’ experience, Craig is an NWFA Certified Installer and attended the invitation-only Rubio Monocoat Sand and Finish course in 2018. Two of his foremen became NWFA Certified Installers this year and three more became NWFA Certified Sand & Finishers, including himself. He’s a member of the Cleveland Historical Society, and in 2017 was featured in Properties Magazine about the 130-year-old Bradley Building renovation in Downtown Cleveland. Craig restored more than 30,000 square feet of original hardwood flooring. Craig has also worked on many Habitat for Humanity projects and donates his time and materials to sand church stages with the Boy Scouts. He’s active in his church where he builds stage props and constructs small buildings for its annual Christmas village, and is a rugby coach for Avon Lake. Christine co-founded Hazelwood Floors in July 2014. Every year since opening, this majority female-owned business has doubled its revenue. Angie’s List and HomeAdvisor have named the company a Super Service Award Winner three years in a row. Christine is also an active member of the Cleveland Historical Society and participates in the Heritage Home Project, which provides small interest loans to homeowners who want to restore their historical homes’ original beauty. 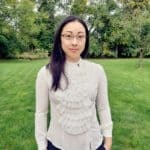 She holds a Bachelor’s in Political Science with minors in International Relations and Business, and interned in British Parliament before beginning her career in international business and logistics. She left a job as Operations Manager for a multimillion dollar sourcing company handling all pricing, product development, and logistics, to run Hazelwood Floors. These days, she manages Hazelwood Floors’ schedule, estimates, customer relations, bookkeeping, and social media accounts. Christine is President of the Avon Lake Storm swim team and a member of the team’s financial review committee. She also is active in her children’s schools and her church. 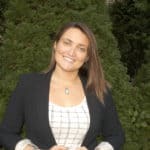 Julia has been in hardwood industry for six years with her husband Phil, with whom she co-owns Valenti Flooring in Ronkonkoma, New York, which specializes in creating custom designed floors for upscale clients. Originally from Jackson, Mississippi, where her family has been in the forestry and timber business for more than 65 years, Julia moved to New York in 1999 to attend Columbia University and graduated with honors in 2003. Prior to managing Valenti Flooring, Julia was a successful real estate agent in Manhattan. She has been in the customer service industry since she was 18 years old, and now manages Valenti Flooring’s day-to-day operations. 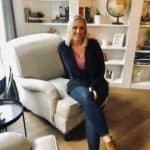 She has mastered leveraging social media platforms including Instagram, Houzz, Facebook, and Twitter to market Valenti Flooring, providing an example for many other flooring companies in the industry. She most enjoys finding and creating opportunities for young, unskilled community members to learn a trade that will earn them a living wage and offer them a better quality of life. Joe came to WD flooring after six years in the construction industry where he worked in sales and management. He served as director of WD Flooring’s partnership with Rubio Monocoat from 2008-2011 when the company was responsible for all of North American sales. During that time, Joe traveled coast to coast introducing contractors to European hardwax oil. Since 2008, Joe has been an integral part of WD Flooring’s refinishing program, which has had a major impact on pre-finished flooring and the direction of the industry. 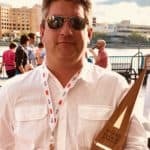 Not only has Joe been responsible for the many NWFA Wood Floor of the Year Awards WD and its partners have won, he has directed the company’s engineered wood flooring program with his dedication to innovation and continually improving processes. Joe contributes to Catholic Charities and to his community in Northern Wisconsin. He served in the U.S. Marine Corps and Wisconsin Army National Guard as a combat engineer and infantryman from 1997-2002. At age 24, James had his own flooring contractor business in England. He had learned to lay flooring as a teenager, and had watched his father build and run his own company – first as an importer, then as a small manufacturing company, which grew to become an international manufacturer and supplier of European wood flooring. 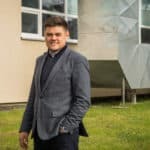 James moved his family to Poland in 2007 to join with the family business. His father passed away in 2008, and two years later, James took over management of Zenon. Now age 34, James is bringing the company to the United States and even sponsored the Emerging Leaders reception at the NWFA Wood Flooring Expo in Tampa, Florida. He also attended the Washington, D.C. Legislative Fly-in this year. 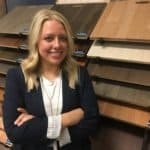 Stephanie leads marketing and design at Zenon floors as well as assists her husband, James, with the direction of their manufacturing company. In addition, she also is focused on actively encouraging business developments between Poland and the U.S. Her initiative and keen business sense, along with her commitment to helping others, guide many of the decisions, especially when it comes to the charitable causes the company supports. Zenon supports charities in Brusy, Poland, and in England, Stephanie’s home country. But perhaps the most interesting is how they provide heat to local schools. They run a pipeline from their factory, down the street to the school. Through raw burning of the sawdust and waste material from the manufacturing process, they produce heat for the local school, which educates many of the company’s employees’ children. Congratulations to all the recipients. A most impressive and well deserving group! Congratulations to all of this years hardwood flooring mag winners!